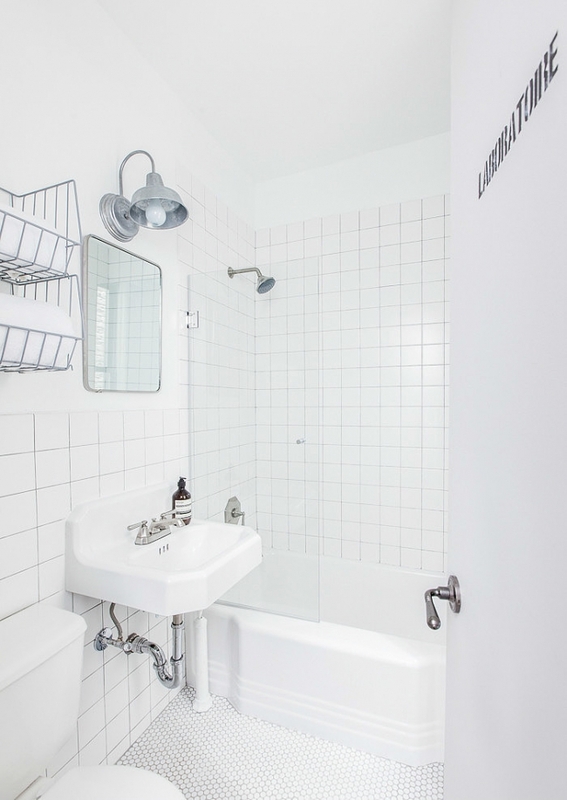 I would choose just one industrial detail in my own bathroom. 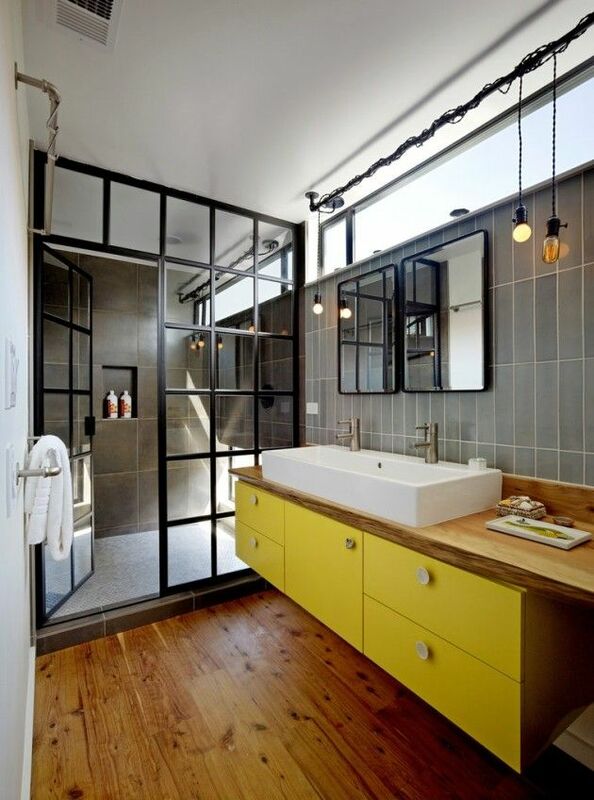 Industrial bathroom design - from extremely light with a few industrial details to really heavy industrial style, are really trendy for a couple years. 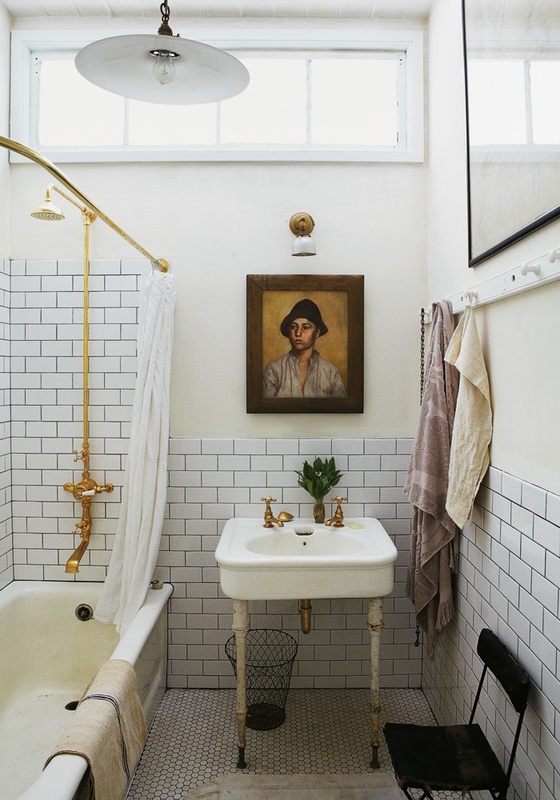 I really adore such bathrooms. 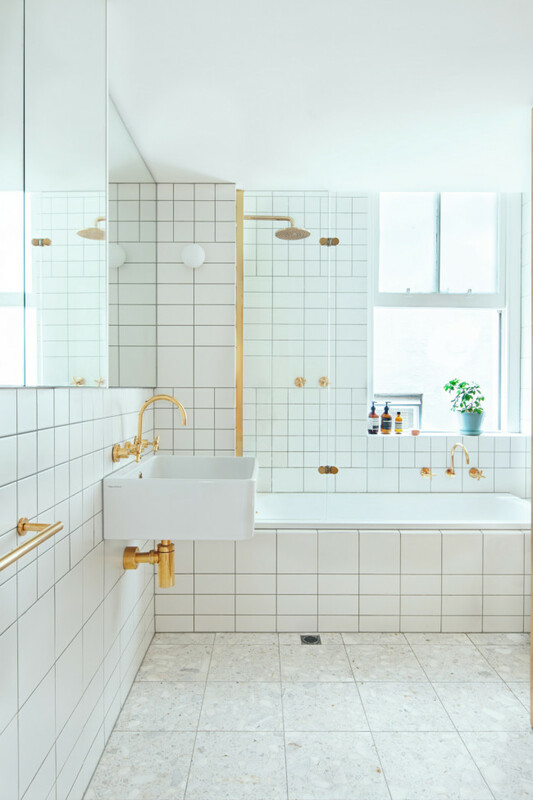 They have some attraction, charm and even romantics, but I would choose just one industrial detail in my own bathroom, for example lighting or water tap. Some examples may be not very proper to this theme but their mood fits there really well. How can you recognise industrial design? Metal, wood, rectangle furniture and tiles, steampunk style lighting, black and white colors. 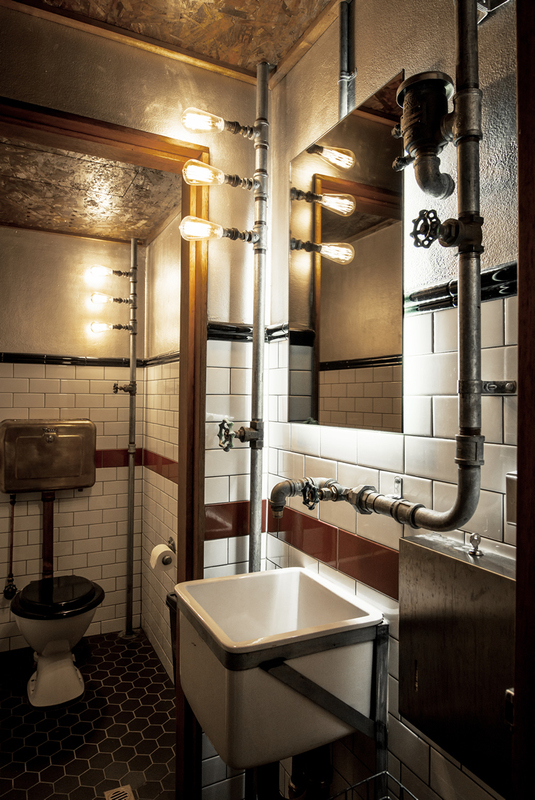 It's an ideal Steampunk style example: lots of pipes, uncovered light bulbs, rough walls texture, rectangle white tiles. 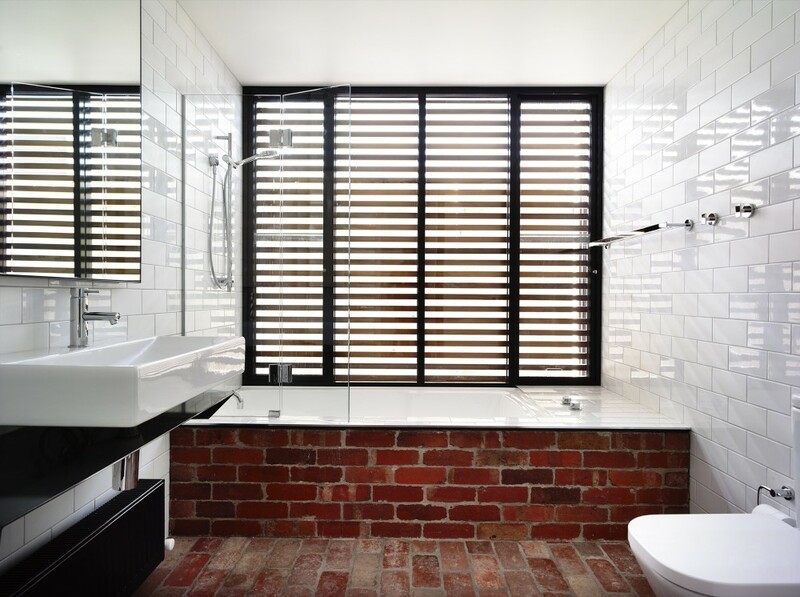 I wanted to share this image just because of bath covering with real red bricks, not just tiles. 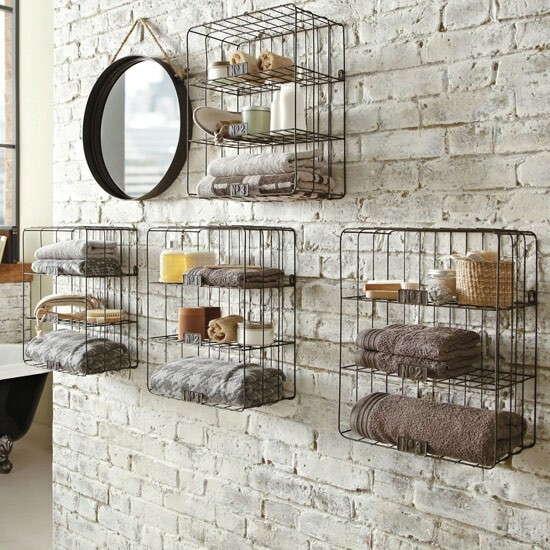 Very charming light metal shelves. Why not? 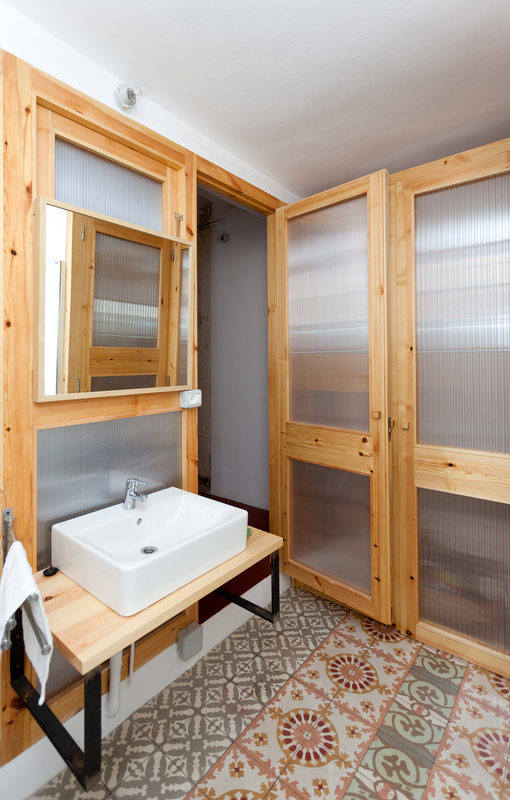 Black ceiling, floor, mirror and shower frames and basin perfectly combine with white walls and wooden partition. 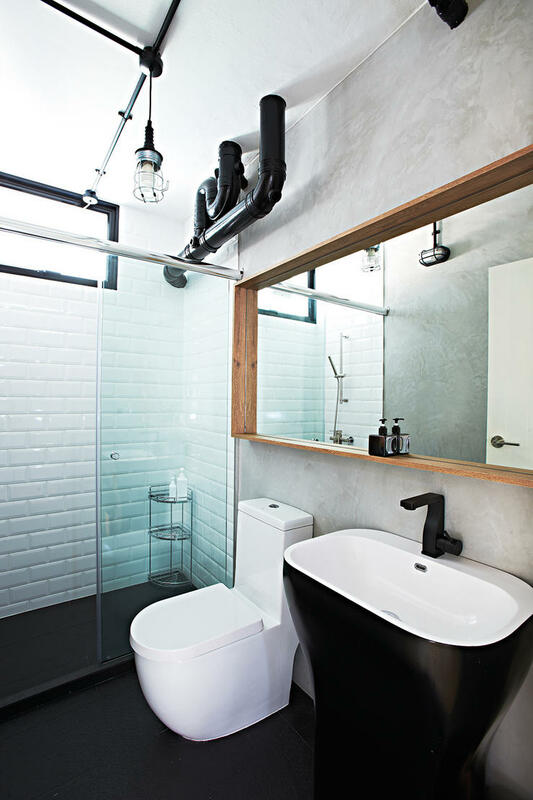 Again black color, wood around the mirror, uncovered pipes and white tiles! 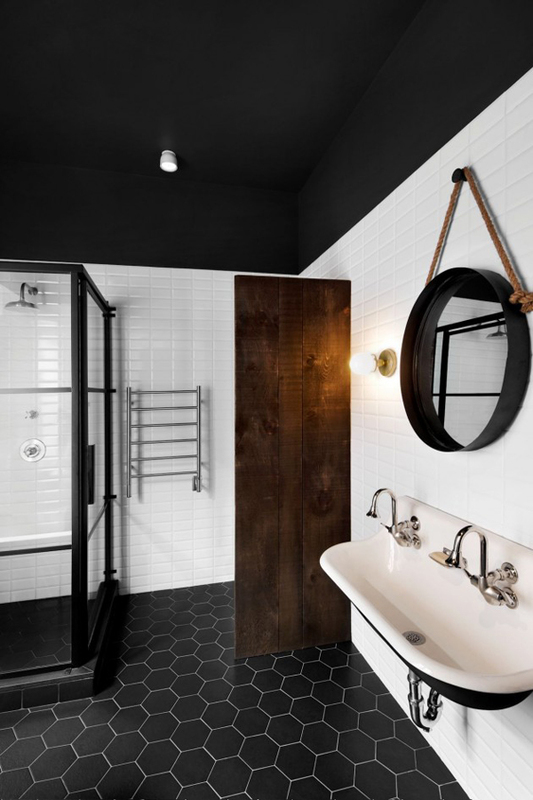 I would not say that's a very industrial bathroom design because there's too much wood, but wood and patterned tiles combination with black and a slice of white looks really well and completes this article. 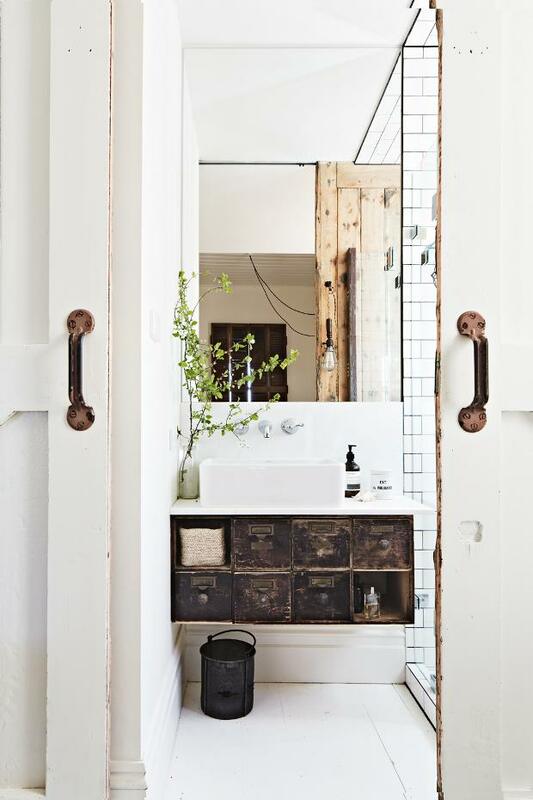 Rustic style cabinet - eye-catching element. I believe such interior came naturally - the time did it's job but the result is pretty good. Adorable framed door and yellow cabinet make this room more vivid. The last two photos will be extremely bright but still fits there fine. Newer post Bricks, white, interesting!